Can you believe Christmas is coming up next week? The holidays season is such a hectic time! Maximizing my time and streamlining meal prep is a huge priority for me these days! However, I refuse to sacrifice taste or quality in the process. That’s why I’m so excited to share Mr Kipling Pies with you today! These premium pies are a unique baked product that offer homemade taste and quality – and they’ll save you tons of precious time in the kitchen. These pre-baked mini pies come in four delicious flavors: Apple, Cherry, Fruit (apple and black currant), and Mississippi Mud. Mr Kipling pies taste great, and they’re made with real fruit pieces. These little pies are delicious, and they are now available at select Texas Walmart locations – but only for a limited time! 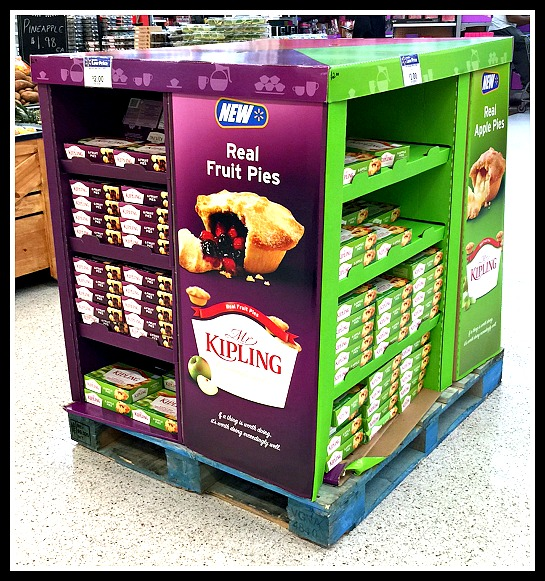 They’re super easy to locate in the eye-catching Mr Kipling branded pallet. I recently tried Mr Kipling Pies and shared with my friends and family, too. These tasty mini pies come conveniently packaged six per box, and they’re a snap to warm up perfectly in the microwave in seconds after removing them from their individual foil containers. The fudgy Mississippi Mud pies are even ready to enjoy straight from the box. Michael is partial to the Apple pie, with its sprinkling of coarse sugar on top, tender crust, and distinct pieces of apple in the filling. I also brought a trio of pies to work to share with my co-workers -- Apple, Mississippi Mud, and Cherry -- during our morning break. 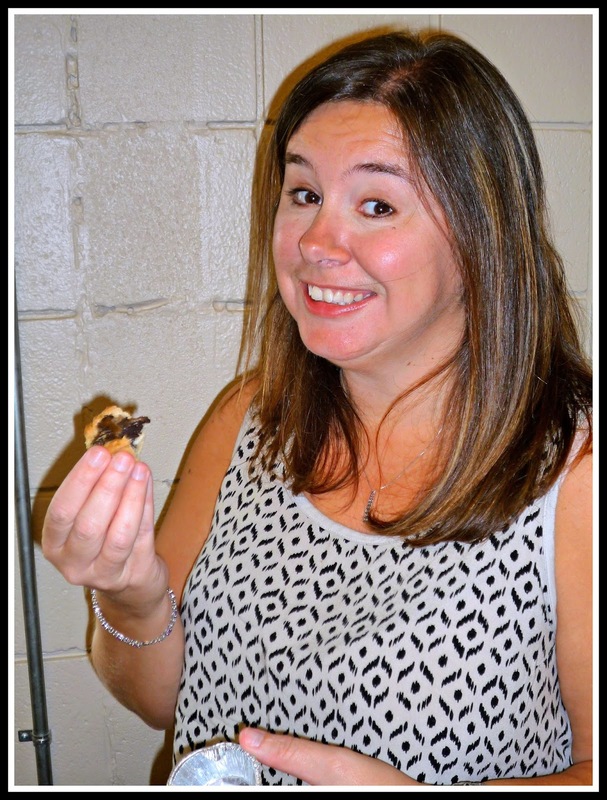 While everyone enjoyed all three pie flavors, the Mississippi Mud Pie was an especially big hit. The tender crust is filled with a rich chocolate filling and topped with sprinkles. The ladies especially appreciated the smaller portion size. Mr Kipling Pies would be a perfect addition to your holiday dessert table or holiday party! They have a fresh, homemade taste your friends and family will love -- and the portion size is perfect after a heavy meal. You can also add a bowl of sweetened whipped cream or vanilla ice cream on the side to pair with the pies. If you want to try Mr Kipling Pies yourself, you have to act fast: they’re only available at select Texas Walmart locations for a short period of time! The product has a 3-week shelf life, but it can be frozen to extend its life and preserve the freshness. Trust me…you want to try these Mr Kipling Pies while you can get them. When they’re gone, they’re gone!